Our Green Tea Ventilated Memory Foam Pillows are molded into a core of premium, refreshing, and supportive memory foam. They are designed to provide enhanced comfort with deep down cushioning and a true refreshing sleeping experience. 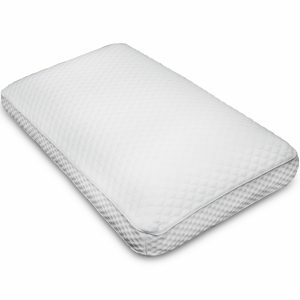 Classically shaped and designed, the Pillow utilizes advanced air ventilated Memory Foam which adjusts to your natural pressure points and correctly aligns your spine. Green Tea Ventilated Memory Foam Pillow offers exceptional breathing properties which further create a feeling of freshness and lightness. This Pillow absorbs moisture and offers a pleasant and restful sleep. 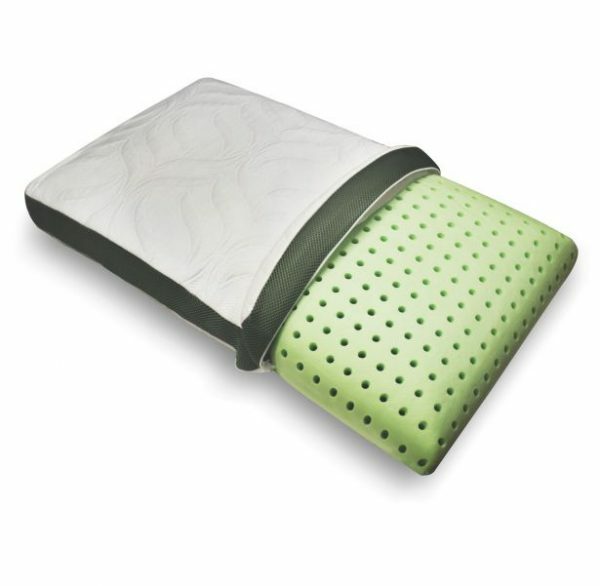 Featuring Green Tea Ventilated Memory Foam Pillow offers Green Tea circular knit cover and earthy green mesh border that perfectly matches your mattresses and room surrounding. This Pillow have hypoallergenic agent that prevents the development of bacteria and fungus. It repels odors such as that of perspiration and keeps skin cool and dry. The Pillow is repellant to Bedbugs and Dust Mites. 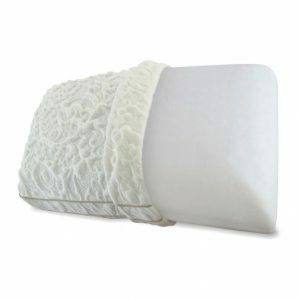 This Pillow has air ventilation pores making them soft, light and airy. They are adaptive to the shape and position of the head. Mild fresh Green Tea aroma relaxes nerves for better quality of sleep. It also gives a sense of coolness and improves blood circulation. Cover of the Pillow is removable and machine washable. In case pillow gets wet, lightly squeeze out the water and allow it to air dry completely before using it again.